Bethesda have finally opened their own shop, in the same fashion as Bioware - identically so, in fact. This is wonderful, because Skyrim tshirts were only available while they were advertising the release of the game - and in a most extravegant fashion - unless you bought copyright-infringing knock-offs. Unfortunately, however, I dislike most of the designs. Though we did go ahead an preorder the Alduin's Wall hoody for Seeg. Not for me. It was a sad day, and, just the same as Bioware, their ladies' section is just awful - there's next to nothing there. However, the website has only just opened. Having said that, however, I am so pleased to see they finally did it, and I hope to find lost of lovely things to empty the already thinly stretched bank account with. Artifolk.co.uk is an amazing arts and crafts website - they don't stock a huge amount, but what they do stock are brand names at low prices, with exceptional postage - £1.99 for standard orders, or free for orders over £10. I've purchased from them several times and find them to have an excellent service! They have a wonderful array of books as well as art supplies - manga, fantasy, oriental, as well as material-specific ones like watercolours and pastels, and so on. They are well worth the time if you live in the UK, especially for shipping fees like that. This book is one from the above mentioned website, Artifolk.co.uk - Amazon.co.uk only has 6 reviews, all of which are 5-star. I am desperate for this book. Honestly. I used to draw so well, but when I tried to draw fantasy and different angles, it all fell apart. 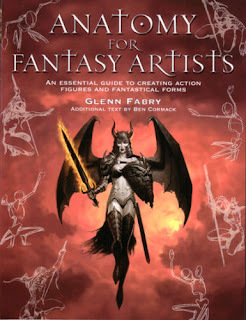 This book apparently really helps with that, especially with fantasy aspects of drawing (wings, flying, expressions and so on), and I honestly believe I'd be able to draw again if I had this. You can design your own fabric with Spoonflower.com - and you get 10% off when you buy your own designs. You can buy other people's work, and you can get your image printed onto a whole number of different fabric types. This video is just a PTR view of one of the new mounts coming in World of Warcraft patch 5.3.
get exalted with, an achievement I can never achieve, or a trading card that I'll never find. If it's even real. It could be April Fool's. I hope it isn't.